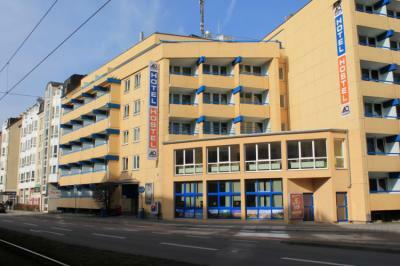 Munich – Hostels in Munich. Maps for Munich, Photos and Reviews for each hostel in Munich. 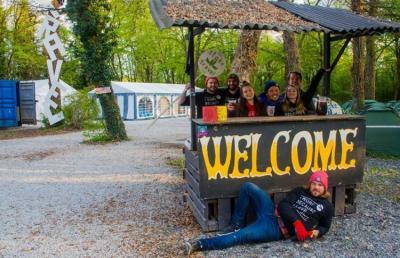 Looking for a hostel in Munich? Look no further, all the good deals in Munich are on Dorms.com. Like thousands of other people every month, book your hostel securely at the best price in all neighbourhoods of Munich. On this site, you can easily find a hostel downtown, in a trendy neighbourhood; a hostel in the student- university district, close to bus or train stations, airports or major attractions of Munich. Near to Isar river recreation area, surrounded by a green park. Cozy place in Munich. A&O Munich Laim is located in the same neighborhood around the Laim S-Bahn station, only four stops from Munich's central station. The building is located directly in the park at the Nymphenburg Palace and the Royal Deer Park. Also, its proximity to the city center and the famous Theresienwiese is ideal! We recommend this hostel. Very good reception, reasonable price, very clean room, impeccable shower. Only downside it was very hot in the room. Very good bedding. Friendly hostel with great value! We are a family of 4 people two adults and two children arrived at the hostel late in the evening the reception was excellent and good willingness to help us, we found the rooms clean and tidy, even though ours was noisy being on the ground floor . I would recommend it as well as backpackers also to groups and families. Good location and services (metro, tram, bus) to reach the center of Monaco. Good reception, clean and bright room, the private bathroom is a plus, we were 3 girlfriends in a room of 4 beds, it was just perfect! The A&O Muenchen Hackerbruecke is just one intra-city train station from the Central Station and is easy to reach by train. Due to its central location the Altstadt can be easily reached by going for a small walk from the A&O and it is thus also the ideal starting point for excursions into the city. We're located 3-5 minutes walking distance from the main train station and the city center Marienplatz is only a 15-20 minutes walk away. if you want to be in the center of munich, this is the place to be. This hostel is actually a very good and reasonable solution for such price. Don’t expect much comfort or luxury. They clean Daily, although it’s got the appearance of an unmaintaned building: rust and funny smells. Nonetheless, the basics were fine: a bed to sleep and an acceptable place to take a bath. I think it’s worth it for very tight budgets. 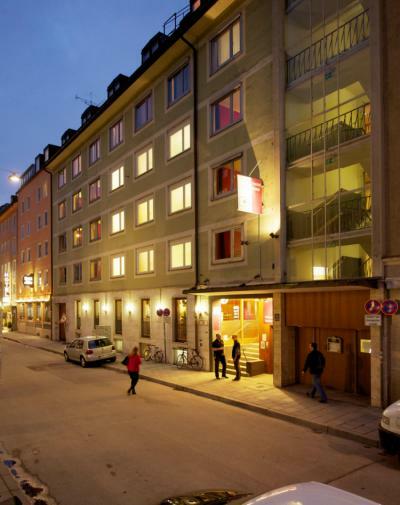 Well located for Oktoberfest and close to the train station and downtown Munich. nothing to say. I recommend! People working there are not nice and welcoming. Prepare your self to leave a deposit for everything! Rooms are okay. Beds are too noisy. Toilettes are not quite clean. Some more effort is needed to improve the quality of service. The neighborhood is very scary as well! I will not go back there again. This hostel is nice and offers rooms for one person at the right price, breakfast is included in the price. 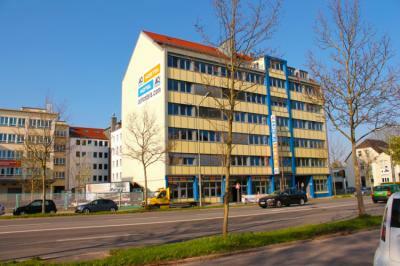 This hostel is well located close to the train station. The hostel is well placed just about a 15-minute walk from the city center. Mixed dormitories at 12 are not always well run because I have been a few times alone with 10 boys, a little stressful. I do not understand why there is no age limit on visitors. It's odd to have sixty-year-olds among young people. But otherwise it's clean, pretty good value for money. You get a free drink last night, and the bar is a good place to meet people. The staff is available and competent. The nights are not very good but good in which inn are they? I spent two days at The4You. I am 100% satisfied. Very welcome, everything is accessible, a catch for each bed, the neighbors of the bed are nice. In short, I recommend it. 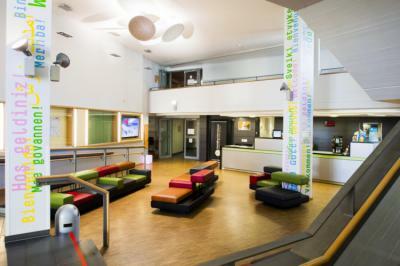 This MEININGER hostel is just a few minutes stroll from Munich`s central train station and therefore it is the perfect place to stay if you want connections to all over the city. It´s only a short journey to the Nymphenburg Palace and Old Town whilst the Augustiner Bräustuben is just across the road! The A&O München Hauptbahnhof is just 400 meters away from the Central Station and is thus easy to reach by train. Due to the A&O's central location the Altstadt can be easily reached by foot and is the ideal starting point for excursions into the Munich city centre. 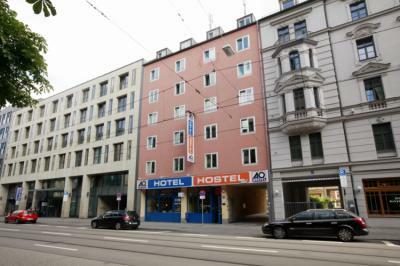 It was not expensive to stay in this hostel and the Munich train station is near by. This hostel is close to the Munich central station, Nice Staff so I recommend. Right next to the Hauptbanhof and the Oktoberfest grounds and the room was much nicer and cleaner than I had expected for a Hostel. The staff were friendly enough and helpful. The campsite is located at the edge of Munich. It is very easily accessible with public transport and a trip to city center should take no longer than 30 minutes! 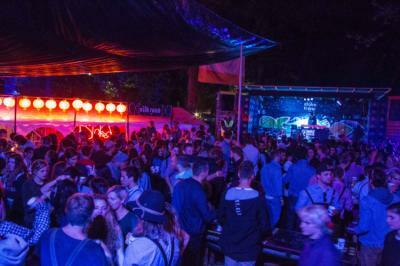 The campsite is situated on the edge of Munich and is easily accessible with public transport. Being one with nature is easy here as the campsite is covered with trees and there are some lakes within walking distance! It is cheap. You will need to take a bus to go to the festival. Very good atmosphere. The price was better than the others we were looking at, so we chose to stay here. The people who run the place were nice and friendly, and helpful. It was clean, but could have been better. friendly people, ok food (it fills me up), good atmosphere, good price. overall, it was a good experience.